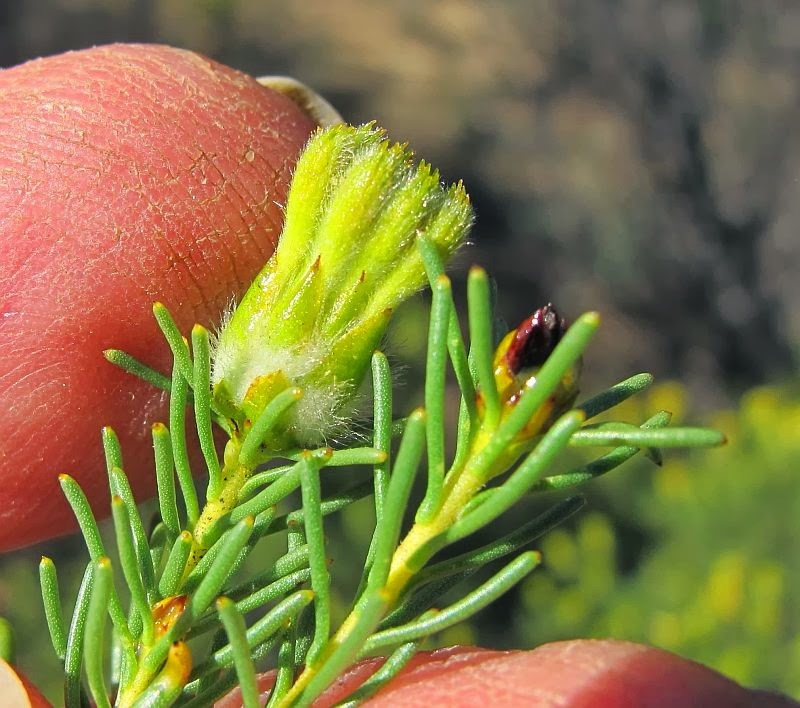 Petrophile is similar to plants in the Isopogon genus, but have unique woody cones that develop from the scales collectively surrounding the stalkless (sessile) flowers. 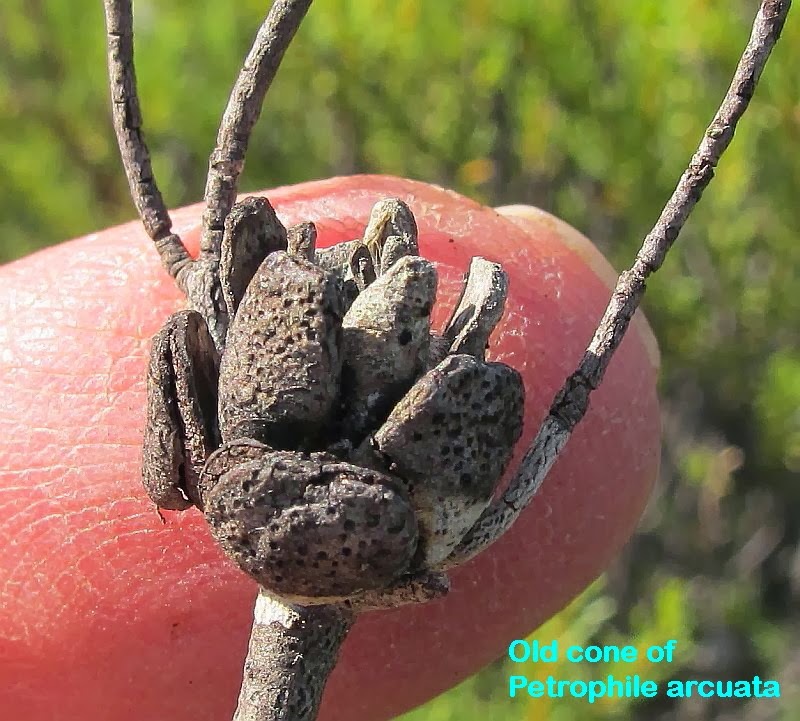 Petrophile arcuata is found within a relatively small area that ranges from the Kalgoorlie region to Southern Cross, then to the Frank Hann National Park and Peak Charles. The above were located in several colonies south of Lake Tay. It is not a rare species and is often encountered in quite large colonies, but these tend to be very localised to specific habitats. 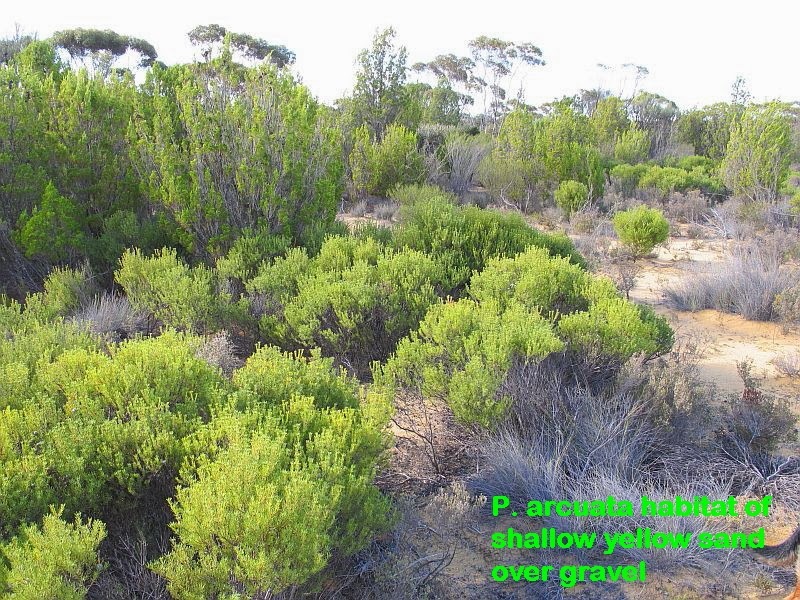 In the district NW of Esperance it strongly favours yellow sand, either deeply or shallowly overlying a clay/gravel substrate in mallee heath and shrubland. 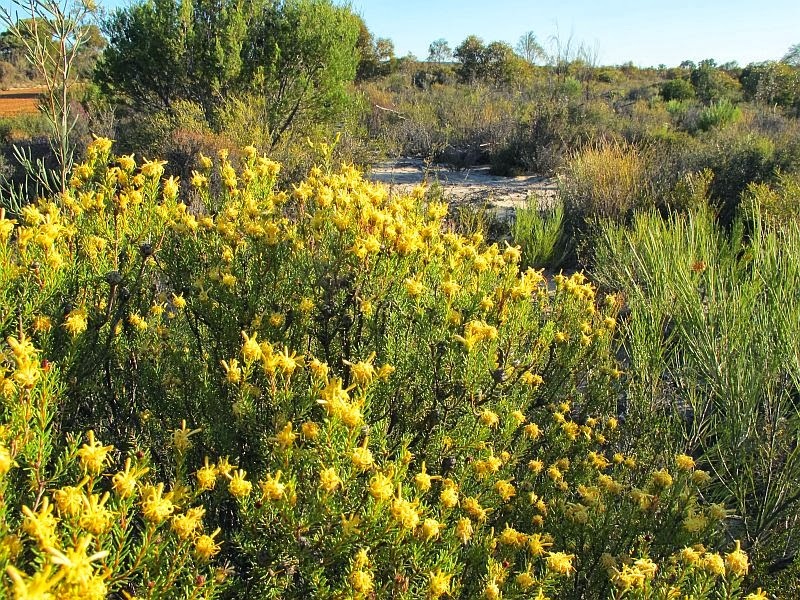 Locally plants are around a metre (3’) in height, although it is recorded growing to 1.5 metres. 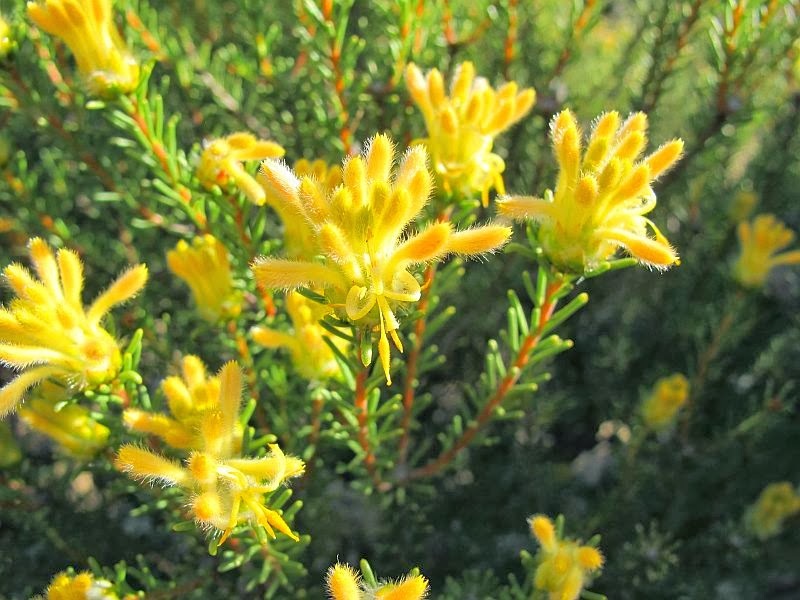 The growth is upright with terminal flowers and can be reasonably bushy; whilst the flowers are a bright yellow/gold and are very showy as they usually bloom together. 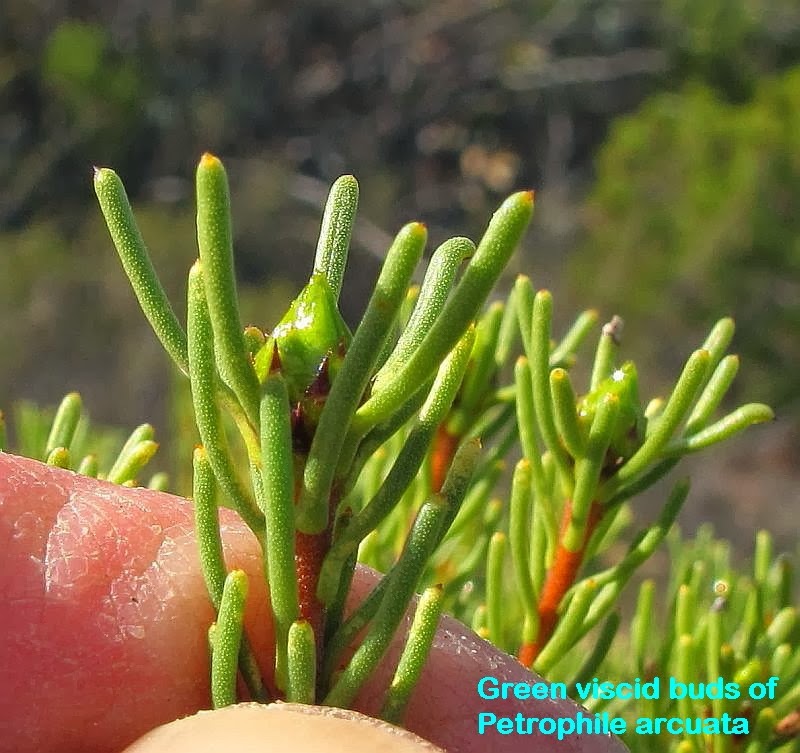 There are several other species that resemble Petrophile arcuata, but its remote location, habitat and green viscid buds are a good initial indicator. 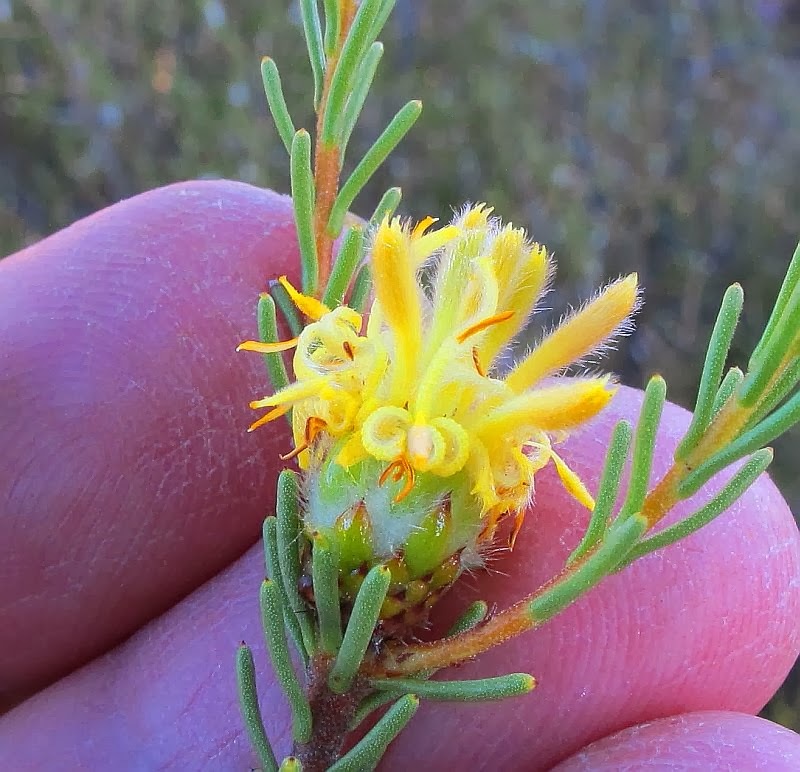 Additional identification features relate to the flower length (to 12 mm or ½”), undivided and gently arching foliage, which is terete (rounded in cross-section) and minutely scabrous (finely roughened), plus the size and shape of the cone. The flowering period depending on weather conditions is from August to October. 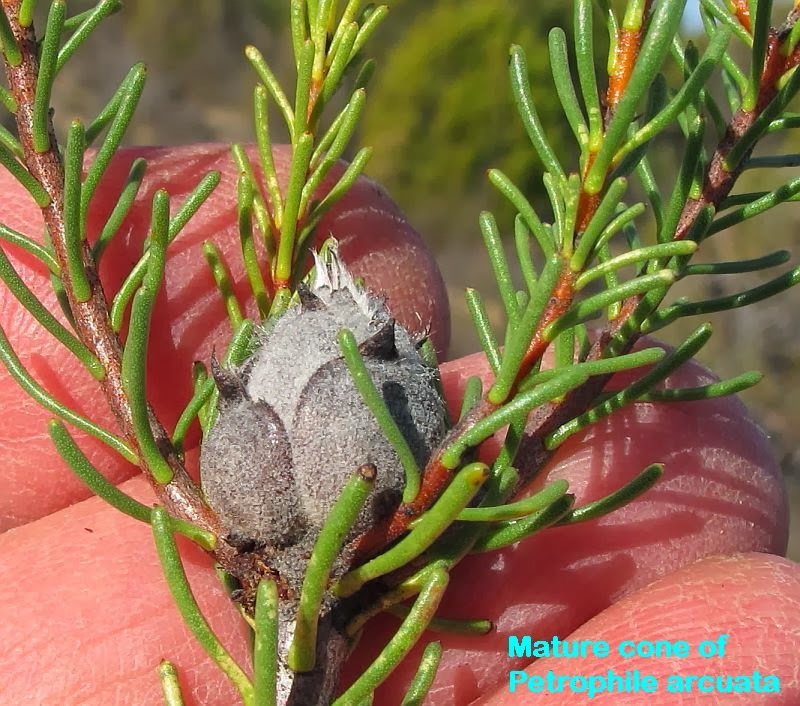 Petrophile is a member of the large, highly ornamental and extremely diverse Proteaceae family.